The Charter School Division is recommending denial now, but the problems are not new. This charter was originally approved in 2014 and has had a net deficit since the 2014-15 fiscal year. It’s ending Fund Balance last year was ($820,303). According to the Charter School Division: “Since CPA opened in 2014, the school has not earned a rating higher than a ‘2’ (Developing) in the area of governance.” Is this incompetence or is it fraud? Either way, why was this charter school allowed to stay open for five years? “CPA made a total of $53,524 in payments to Public Storage.” but they could not substantiate what was in those units. “CSD fiscal staff was never granted the opportunity to inspect.” Were they using this for personal use? In a 2017-2018 oversight visit, $183,434 in questionable withdrawals were shown to be made from the charter’s bank account, including a cashier’s check made out to Executive Director Janis Bucknor for $6,666. Additional cashier’s checks were made out to Center for Culturally Responsive Teaching and Learning, an organization run by the spouse of the Executive Director. CPA also paid Ms. Bucknor’s husband for “legal services.” Was this school the Bucknor’s personal piggy bank? Notices to Cure have been issued on many violations, including some involving health and safety and the majority of them remain unresolved. The Charter School Division tells the schools they oversee to correct their behavior before they count to three. “1, 2, 2 ½, 2 ¾.” Of course, they never get to three and the bad behavior continues. Why are charter schools allowed to ignore Notices to Cure? The staff member from the school who spoke after me thought that exposing these facts “was pretty mean”, but no one from the charter school refuted these allegations. Instead, they argued that the recent replacement of the Executive Director should be enough to earn the school a reprieve. No explanation was made as to why the governing board hired Ms. Bucknor in the first place. She had already presided over another charter school that had closed its doors without following proper procedures. None of the School Board members asked the Charter School Division why they had not moved to close this charter school during the previous five years. In fact, it seemed that Dr. McKenna did not even realize that a charter could be revoked before the renewal date. Even with the District’s loss of $82,240 in payments from this charter, Nick Melvoin dismissed the idea that the Charter School Division needed to be more proactive. He felt that there was an “irony” in suggesting that the schools weren’t being held accountable when they were shutting down a school. He was ignoring the fact that the school had severe operational issues during the entire five years it had been operating. 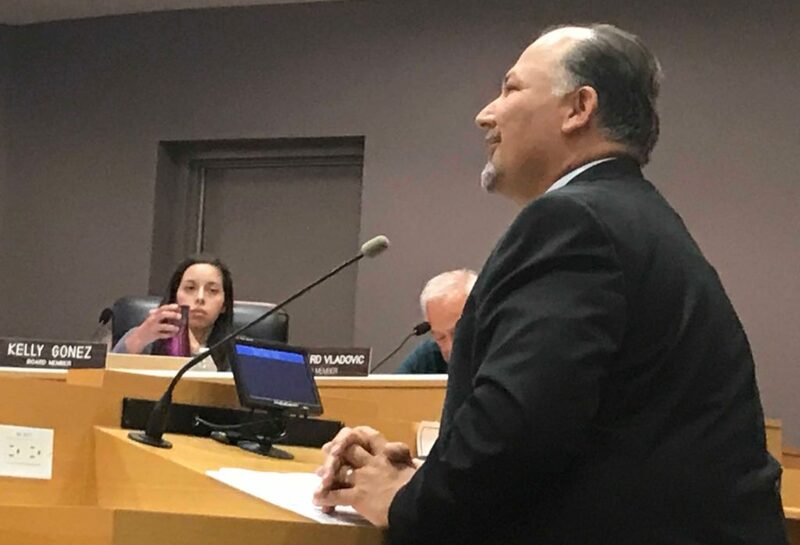 In his view, the operators of a charter school should be allowed to engage in possibly fraudulent activities, refuse to comply request of regulators and be delinquent on debts to the district for the full five years of their charter without any interference from the LAUSD Board. Could his lack of concern about the children who go to these schools have anything to do with the millions that the California Charter School Association spent to elect him, Monica Garcia and Kelly Gonez to the Board?